You are here: Home / Blog / Quilting / We have some winners! There were a LOT of entries. Between blog comments, blog links and shop orders, we ended up with 1996 entries in the giveaway. Five more winners will each get a Baker’s Dozen fat quarter collection (that’s 13 fat quarters, chosen by me) or yarn of their choice that totals $15 retail. I’ll be in touch with the winners to make arrangements, thanks to everyone that commented, shared the link, or bought something at the shop. I can’t give you the exact numbers, but in the last 2 weeks I’ve emptied approximately 80 bolts and sold over 1000 yards of fabric. Congratulations to all the winners, although I don’t see who the grand prize winner is??? 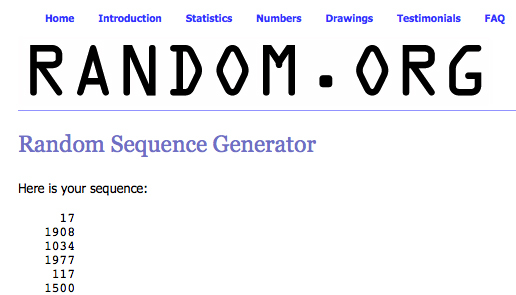 and congrats to you for having such a wonderful giveaway! Hope things stay busy for you with your shop!